Darryl coaches Local Athletes online as well as coaching at weekly training sessions. 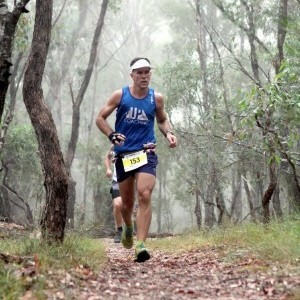 Darryl first came to UP Coaching in November 2014 following a Trail Running Weekend at Lake Crackenback where his passion for running was rejuvenated. Since then Darryl has gone on to achieve some significant milestones including a sub 20 minute 5km, now down to sub 18 minutes and several 1st placings across various Parkruns. Darryl has also placed in some trail races with Running Wild podium finishes and several top 10 finishes as well. Since becoming a coached athlete in June 2015 , Darryl has seen further gains, not only in his running but his understanding of all the many inputs into what it takes to improve your running and race at your best. On discussion with Darryl it is evident that he is also passionate about seeing the progression in the runners around him and genuinely wants to assist runners reach their goals.